More college students are arriving on campus reporting serious mental health problems and more students are threatening suicide than in the past. But some college counseling services, such as those at Southern Illinois University at Carbondale, are so understaffed that many students have to wait weeks before getting help. That is one of the findings of a five-month investigation of colleges and universities in four Midwestern states. Last year, about 40 students at SIUC threatened to commit suicide, counseling officials say. Counselors use a triage system to try to identify those with such urgent mental problems when the students first walk in the door. Those without urgent problems have to wait about three weeks to see a counselor. The situation at SIUC is common in other Midwestern states. Counseling and psychiatric services are buckling under the increased demand from students entering schools with more serious illnesses than seen before. A national survey of college counselors last year found that the percentage of students reporting serious mental problems had nearly tripled over the past decade. Many counseling services are failing to meet the nationally accepted standard for counselor-to-student ratios, leading to longer waits for assistance and limited number of sessions. In addition, there is broad confusion among counselors about when they can contact family members when a student is suicidal or dangerous, according to an Illinois study. Many counselors think that federal privacy laws prohibit such contact, even though there are exceptions when necessary to protect the health or safety of a student. This confusion comes at a time when student suicides are one of the top causes of death among students of college age. A recent University of Virginia study put mortality rates for suicide above alcohol-related deaths for young people. In addition, many campuses have not implemented key recommendations made to improve campus safety and mental health services in the wake of the fatal shootings at Virginia Tech in 2007 and at Northern Illinois University in 2008. She said now it is possible for most students to juggle outpatient care and college coursework because of treatment and medication received before they enter college. The five month investigation by the Investigative Journalism Education Consortium reviewed services at campus counseling centers in Wisconsin, Illinois, Indiana and Missouri. The review found that centers often fell far short of the number of mental health providers recommended by the International Association of Counseling Services. The association’s recommendation for staffing levels requires a minimum of one mental health provider for every 1,500 students. Yet centers have ratios of one provider for more than 2,000 students, with some having ratios as high as one mental health provider for every 16,000 students. As a result, students in need wait weeks for appointments and get only a few session. In some cases, outreach programs and preventative services have been cut, reduced or turned over to trained students to run. For example, when University of Wisconsin senior Rachel Steidl sought counseling services this year, she was assessed the same day under a new process at her Madison campus. But because her immediate needs weren’t deemed urgent, she was asked to wait three weeks for her next appointment. In Missouri, the University of Missouri-Kansas City has seen a 175 percent increase in the number of students seeking services over the past decade, while the University of Missouri-Columbia saw 80 percent more students seeking services over the past five years. At the Columbia campus, there were 602 students seen for individual, couple or group therapy in the 2006-2007 school year. For the 2010-2011 school year, there were 1,091 students seen. 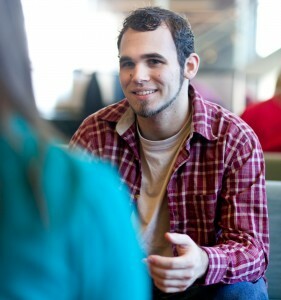 At the Kansas City campus, there were about 830 students seen for therapy in the 2010-2011, up from 300 students during the 2000-2001 school year. On average, University of Missouri says it has one mental health provider for every 1,900 students. In Wisconsin the University of Wisconsin system averages about one mental health provider for every 2,027 students across its 13 campuses. Four years ago, a University of Wisconsin System subcommittee recommended that, in the short term, its four-year institutions try to meet 75 percent of the association’s staffing standard or one mental health provider for every 2,000 students. But when the Wisconsin Center for Investigative Journalism used the subcommittee’s methods to re-calculate ratios for 2010-2011, it found that five of the 13 campuses had not done so. In Illinois, Southern Illinois University has one mental health provider for every 3,000 students, while the University of Illinois at Urbana-Champaign the ratio is one counselor for every 2,100 students. “We start to get a wait list and what that means is that a student comes in this week but we won’t have any ongoing openings for three more weeks,” said Rosemary Simmons, director of counseling at Southern Illinois University Carbondale. National experts say the challenges at Midwestern universities reflect national trends. This story was reported by professors and students of the Investigative Journalism Education Consortium. It was written by William H. Freivogel, director the School of Journalism at SIUC; Brant Houston, Knight Chair in Investigative and Enterprise Reporting at the University of Illinois; and Pam Dempsey, project coordinator of IJEC.